In this section we will discuss the Linux OS, where it came from and the different flavors. This operating system is well known in the Unix community and is widely used on server systems running Intel and AMD Hardware. It has also been ported to other vendors hardware such as IBM and Oracle. In simple terms, this is an operating system. It's the interface between the applications and the hardware, like any other operating system. The difference is, that components in the kernel can be added or removed to suite the hardware that it's running on. Some versions of this software can also be downloaded and used for free. The cool thing about this is, that you can cut the OS down to run on a cellphone or GPS (Global Positioning System) device. These devices don't have hard disks or network interfaces, so it's not necessary to load the drivers for these devices. This makes the kernel small enough to run on these mobile devices. The smaller a kernel is, the better it will perform. In the early 90's, a software developer called Linus Torvalds programmed a UNIX like kernel that he called Linux. He made this kernel available for free. Today, Linus still has control over the development of the kernel, but he's not that involved in the programming like he used to be. The whole idea behind this concept is, that developers can download the kernel and then add their own applications on top of the kernel. This is also know as a modular system cause the kernel is in the middle and the apps and GUI runs on top of it. So, developers can program their own software to interface with the kernel. This also allows the developers to add their own GUI interface to the OS. Soon, software companies saw the potential of this OS and more and more companies jumped on the bandwagon and started to create their own versions of the OS. These OS's became known as distributions, or distro's for short. Today, there's literally hundreds of these distributions available. Some are free, some are not. Some popular examples include, Ubuntu linux, Red Hat linux, SuSe linux, Fedora and Mandrake. These are not the only ones, like I said there are hundreds available. So, no single company makes this OS and that's what makes it so powerful. What GUI does it use? This is the best part. You can choose which one you want to use. Remember, companies or developers can add applications and GUI's anyway they want to. They are not bound to a specific set of rules such as Microsoft. With Microsoft Windows, only a few developers in Microsoft has access to the inner workings of the Windows kernel. Nobody outside Microsoft knows how the kernel is programmed. Windows only ships with it's GUI. You cannot change it or load another type of GUI. Linus Torvalds made his kernel available for free so anybody can write apps for it. Some distributions even come with different GUI's preloaded so you can choose which one you want to use. 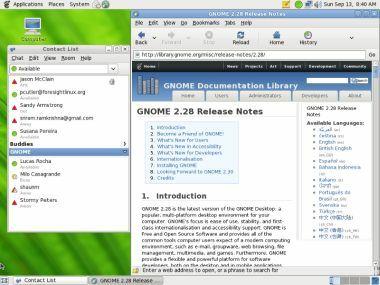 Two very popular GUI's in Linux are, KDE (K Desktop Environment) and GNOME (GNU Network Object Model Environment). There are a couple of others as well but these two are the most well known. The GNOME and KDE desktops are created by software developers and they make this software available for free. There are other desktops that's not for free thought, but remember, you have the freedom to choose. What applications are available on Linux OS? Just about anything you can think of, and most of it is free. Ubuntu, for instance has a whole web site where you can download the operating system and install free apps and software from their site. They package managers that you can use to install apps directly from the internet. It's really easy. People all over the world help with the development of apps for Ubuntu linux and make it available as free downloads from their website. Even apps that are available for windows are made available for Linux OS. These you might have to pay for. 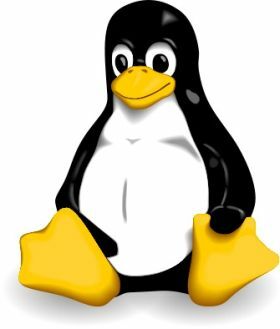 Is Linux OS only for PC's and Laptops? You can run it on PC's, Laptops, cell phones, Servers and even on main frames. This OS has become very popular and even big companies such as IBM, Oracle Sun and HP have their own versions that they use on their platforms. I have a dual boot partition on my hard disk and run Windows and Ubuntu Linux Studio on my Laptop. I also have an external USB hard disk where I have installed Open Solaris on. This allows me to boot any of these OS's when I choose to. When you feel more comfortable with your PC or Laptop, download Ubuntu Studio, and give it a go. You have nothing to loose.